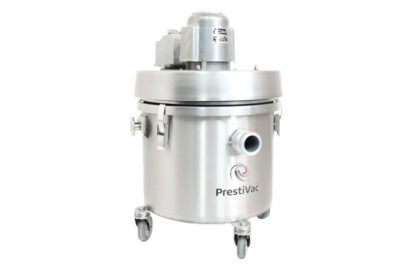 The Intrinsically Safe Vacuum Prestivac EX1-5 is Explosion Proof/Dust Ignition Proof Electrically Operated Industrial Vacuums Certified Explosion proof/Dust ignition proof industrial vacuum certified Class I, Division 1, Group D and Class II, Division 1, Groups E, F, and G Hazardous Locations as defined in the National Electric Code (NEC) and NFPA 70. 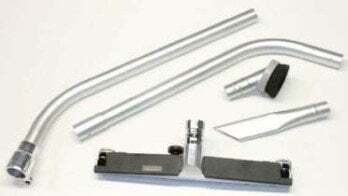 Stainless steel construction makes it a solid unit that is easy to clean. 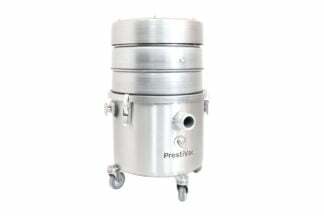 Introducing Intrinsically Safe Vacuum Prestivac EX1-5 is an explosion proof/dust ignition proof electrically operated industrial vacuum certified Class I, Division 1, Group D and Class II, Division 1, Groups E, F, and G Hazardous Locations as defined in the National Electric Code (NEC) and NFPA 70. PrestiVac explosion proof/dust ignition proof vacuums are specifically designed to safely vacuum explosive, combustible dust. 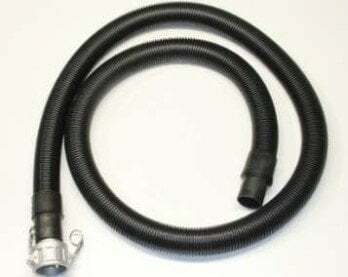 Explosion proof/dust ignition proof vacuums are completely grounded and static dissipating because they are built entirely with non-sparking metals and do not have any painted components making it safe to use. There is no risk of fire or explosion from a spark or static build up. All the electrical components, including the motor and starter, are totally enclosed so there is no source of ignition. 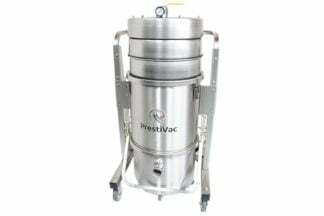 The explosion proof/dust ignition proof vacuums comply with NFPA 484 guidelines and are an effective tool for good housekeeping practice as per OSHA. 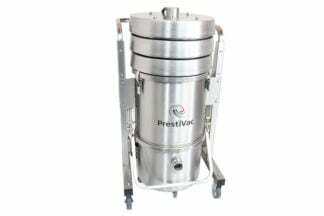 PRESTIVAC warrants that its equipment will be free of defects in workmanship or material for a period of 3 years from date of delivery. 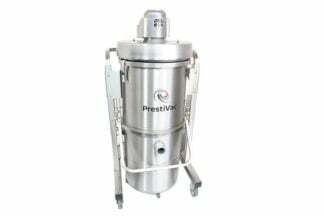 If the vacuum fails to meet these warranty standards, PRESTIVAC shall, upon notification within such time, correct such non-conformity, at its option, either by repairing any defective part(s) or by replacing a part(s) provided that the equipment is returned to PRESTIVAC. In all cases, freight both ways will be at expense of the customer. Equipment shall not be returned without advance notice to, and consent of PRESTIVAC. Highly recommended to use in hazardous locations because it’s certified Class I, Division 1. Intrinsically Safe Vacuum Prestivac EX1-5 is Explosion Proof/Dust Ignition Proof Electrically Operated Industrial Vacuums Certified Explosion proof/Dust ignition proof industrial vacuum. Best offer.